Cycle NC Mountains to Coast Ride Starts in Blowing Rock! 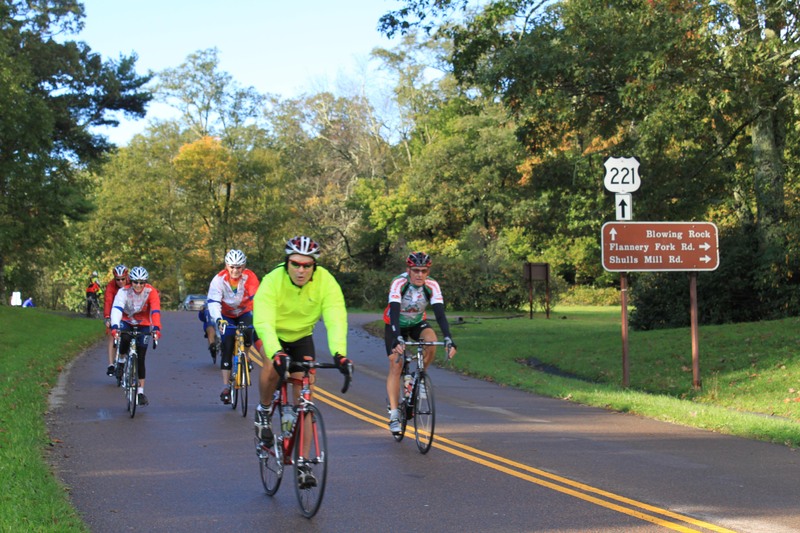 The twenty-first annual Cycle NC Mountains To Coast ride will run from Blowing Rock to Atlantic Beach on September 28 to October 5, 2019. 1,100 bicyclists are expected to participate in this unique ride. Multiple hotels in Blowing Rock will be hosting the group, most within walking distance of the celebrations and downtown attractions. Camping participants will enjoy camping near downtown in a pop-up campsite with traveling amenities. See the Route Announcement Video Here! Blowing Rock is located right on the Blue Ridge Parkway and enjoys direct access to all points in the High Country. This means that challenging circuits and routes are easy to plan and enjoy on local roads. The Town of Blowing Rock welcomes cyclists often, most of whom come to enjoy the views along a ride on the Blue Ridge Parkway. With plenty of eateries and a variety of overnight accommodations, our town is a natural choice for cyclists looking for a getaway riding experience. Businesses like Rhoddie Bicycle Outfitters and Footsloggers are trusted sources for cycling and outdoor equipment, respectively. Plus, Rhoddie helps cyclists plan the ideal route, whether challenge or sightseeing is the goal. Riders will bike an average of 60 miles per day over the course of the week. Hickory, Spencer, Siler City, Clayton, Greenville and New Bern are the stops on the route between Blowing Rock and Atlantic Beach. The Cycle NC “Mountains to Coast” Tour is the state’s only cross-state, fully-supported ride. It was created in 1999 with the N.C. Division of Tourism, Capital Broadcasting Company, the N.C. Department of Transportation and North Carolina Amateur Sports as founding partners. Cycle NC promotes North Carolina’s scenic beauty, heritage tourism, visitor attractions, historic sites, state parks, fitness, healthy lifestyles and the benefits of bicycling to individuals and our state. During the past 20 years, Cycle North Carolina has stopped overnight in more than 100 North Carolina towns and visited over 700 North Carolina communities. Register at www.ncsports.org. Cycle North Carolina is capping registration at 1,100 riders. So, interested riders should register early to enjoy the highlight of the year for bicycling in North Carolina!